The entire premise is based on the idea that the investigation into the Trump campaign was completely fabricated as a political motive to inhibit President Trump, specifically by the Obama administration and the FBI. This entire premise is nothing but a conspiracy theory that has absolutely no factual basis behind it, and plenty of evidence to dispute this claim. The FBI is an independent agency, which arguably helped President Trump secure the Presidency when they announced that they were reopening an investigation into Hillary Clinton less than two weeks before the election. This all happened while there had secretly been an ongoing investigation into the Trump campaign that actually started over 3 months prior. The FBI kept one investigation secret, while they publicized the other. In essence, the FBI’s decision, which I’m not going to question, undoubtedly aided Donald Trump and hurt Hillary Clinton. If there is a “deep state” out to get President Trump, this very same “deep state” helped get Trump elected President. For this outlandish op-ed, written by a man named Mark Penn, to criticize Robert Mueller’s investigation for “having failed to bring down Donald Trump after a year of trying”, is as ridiculous of an argument that can possibly be made. This is yet another baseless claim. 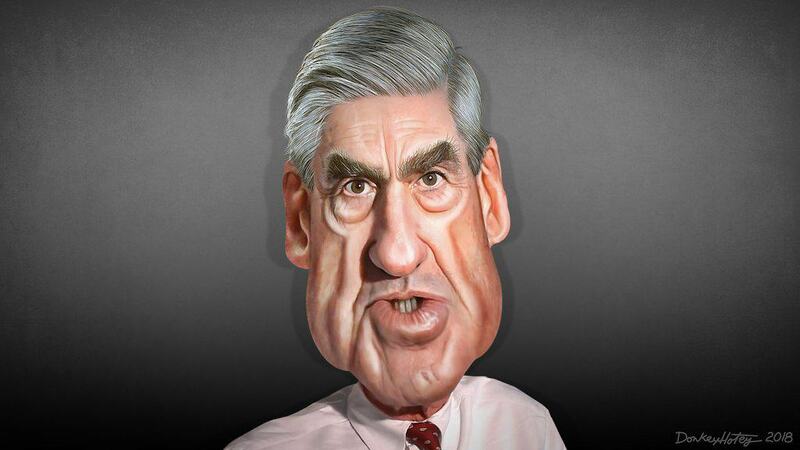 The Mueller investigation, into what could quite possibly be one of the largest conspiracies that’s ever taken place in this country, has been running for just 14 months. To claim that this is “too long” is just absurd, and any criminal investigator whom you could ask would most likely agree with me on this. The Whitewater investigation under President Bill Clinton: Lasted over 7 years. The Iran-Contra investigation under President Ronald Reagan: Lasted over 6 1/2 years. The Hillary Clinton email server investigation under President Barack Obama: Lasted over 2 years. The Hillary Clinton / Benghazi investigation under President Barack Obama: Lasted over 4 years. There are plenty of other political investigations, all of which you can easily research for yourself, and most of which took well over 14 months to complete. To claim that a 14-month counter-intelligence investigation into what could be a conspiracy unlike anything this world has ever seen, is too long, is just flat out wrong. Yes, I said “wrong” because it is factually “wrong”. What’s even more “wrong” is for anyone to claim that Robert Mueller should be “stopped.” Stopping a Special Counsel investigation would set a precedent that ultimately would lead to the abolition of Democracy in this country. If Robert Mueller is fired, or the investigation is prematurely terminated before its completion, it’s very unlikely that there will ever be another Special Counsel investigation completed in this country. If a President is able to intimidate and discredit his way out of a criminal probe, that would set a precedent that the President is above the rule of law. A future President could literally murder someone on 5th Avenue and use a precedent set by closing down the Mueller investigation as a means to close down an investigation into him/herself. Ask yourself if that is really what you want the future of this country to look like. I know that I would prefer that the country, our Congress, and our courts get to see both sides of a story and make a decision based on facts? There is a fact that Trump and his supporters never seem to acknowledge. That fact is that investigations, no matter who is in charge, never determine an individual’s guilt. That is always left up to the U.S. court system to decide, or in the case of a sitting President, the U.S. Congress, through impeachment proceedings. An investigation must turn up solid evidence, that proves beyond a reasonable doubt, that a suspect committed a crime. Anything short of solid, indisputable evidence, would be beneficial to the Republican party, and President Trump, in that it would prove that he and his supporters were right all along. I’m glad that Hillary Clinton was investigated so thoroughly, as was Bill Clinton, and the Reagan administration. It allowed us to see the truth and decide what ultimately was best for this country. We the people deserve the truth. We deserve to see Robert Mueller finish his investigation, and we are obligated as a country to SAVE Robert Mueller and his investigation in order to protect our Democracy.